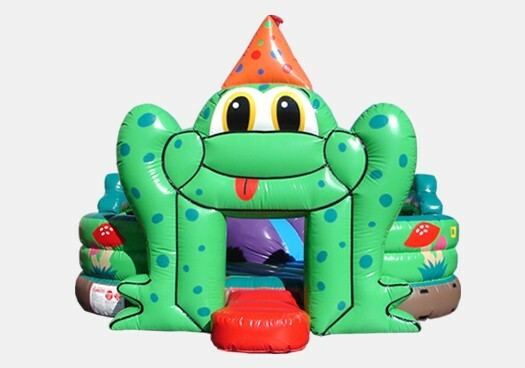 The Frog Toddler Safari is the perfect Commercial Grade Inflatable for your church, school, rental business, or other institution. The Frog Toddler Safari is perfect for your little ones! With plenty of fun obstacles and easy parental access from all sides, this colorful unit is sure to quickly become a hit with family and friends. Manfucatured to last this Inflatable was made with a Commercial Grade High Quality 18 oz. PVC material.